Israeli cuisine is hard to define. Boasting eclectic combinations of fresh luscious produce and succulent ingredients grown under a Mediterranean sun, unique spices, and lots of home grown passion, Israel’s culinary scene is a very important part of its culture. But there is much more to it than just the food. Like the country and its people, Israeli cuisine is steeped in the traditions of its diverse immigrant cultures. Over the past few years, Israeli chefs have taken the world by storm, opening restaurants in London, Paris, New York, Berlin, and Amsterdam, to name a few – finally confirming what Israelis have known for a long time: Israel’s chefs are some of the best in the world. Please join us for Bonnie Stern’s discussion and presentation of slides from her most recent culinary trip. Not only will she show you why Israeli cuisine has become one of the hottest trends in the international culinary world, but her presentation will make you want to get on a plane and experience it for yourself! 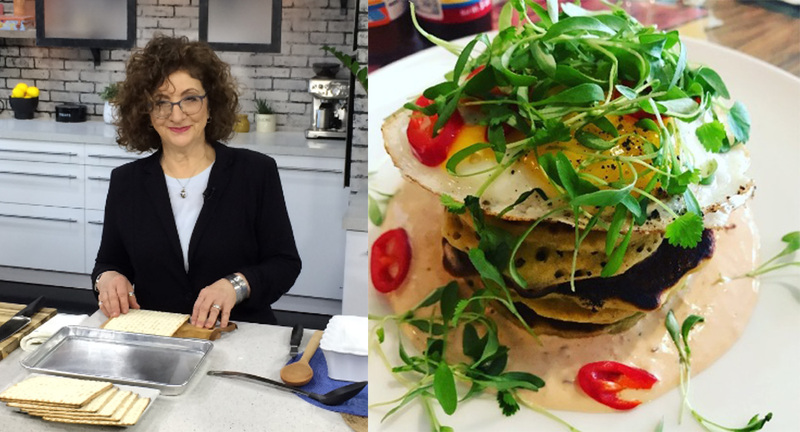 For over 35 years, Bonnie Stern has been showing Canadians how to make cooking fun through her twelve bestselling cookbooks, national television shows, and weekly newspaper columns in the National Post. Bonnie is the award-winning author of over a dozen cookbooks including Friday Night Dinners and hosts a unique book club, with authors in attendance and theme inspired dinners. Bonnie owned a beloved cooking school and cookware shop in Toronto from 1973 to 2011, and currently leads culinary tours to Israel.